I don’t blog about every single thing I eat, and contrary to what my friends might think, I don’t photograph every piece of food I put in my mouth either. 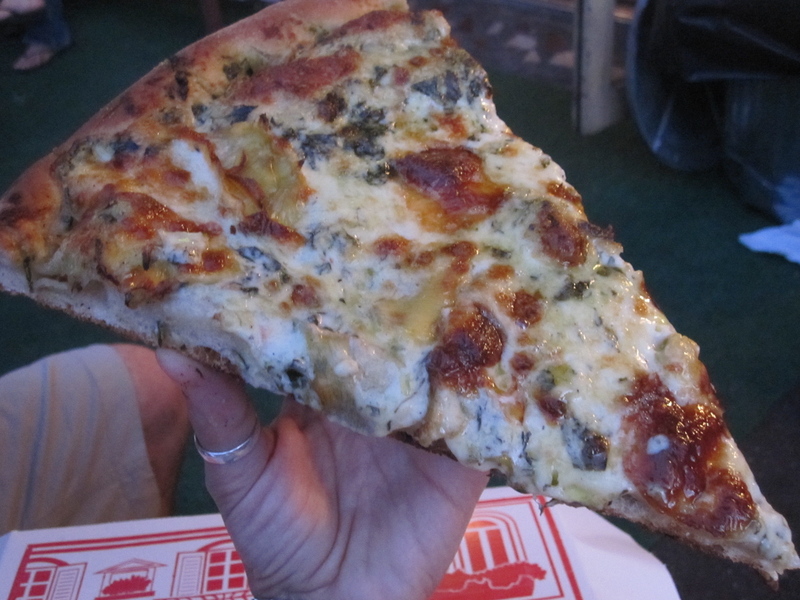 When I went to Paulie Gee’s Pizza in Greenpoint, Brooklyn, for example, I had no intention of doing either. I was just having pizza. With friends. In Brooklyn. Nothing to write home about, right? Wrong. Immediately after biting into the Cherry Jones pizza I ordered, I knew I’d have to get my camera out because I just had to show you this crazy-good pizza. 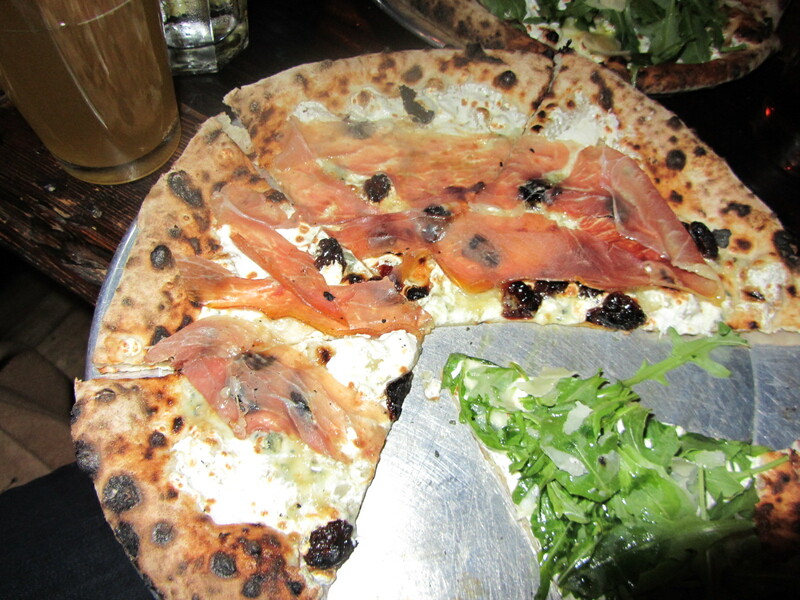 Well, it wasn’t quite immediate though, because once I bit into that first slice and got hit with the insane flavors of creamy, pungent gorgonzola, milky fior di latte mozzarella, perfectly salty prosciutto, tart dried cherries and a drizzle of sweet orange blossom honey, I literally couldn’t pry it away from my mouth. I was about two slices in when I forced myself to put down the pizza just long enough to get one decent picture before there was nothing left but crumbs. I had heard (or read I should say), from a pretty reliable source, that Paulie Gee’s was good, that it was creative and unusual, but I was in no way prepared for just how much I would love the Cherry Jones. I mean, it was outrageously good. It was mind-blowingly good. It was glaaaadly-take-the-stupid-G-train-all-the-way-to-Greenpoint good. Blogging is a strange thing sometimes. Like many people who write their own blogs, and also many who don’t, I follow several people’s blogs. Some of these people, these other bloggers, are people I know— people I’ve met, people I hang out with, people I’m friends with. When they write about their travel adventures through Asia, the trials and tribulations of single life in New York, their jobs as librarians or vegan cooks, I know who they are. I know the people they reference or the places they’re talking about, or sometimes I can just picture them clearly in the situations they write about. But with other blogs it’s different. I don’t know people at all. I find out about their blogs through friends, or linked on blogs I already follow, or mentioned in magazines, or through random searches. I read about their babies, their lives in other countries, the meals they eat in different cities around the world. But I don’t know them. I might never meet them. I’ll probably never stand in the exact spot of something personal they’ve written about. Except I did. This past weekend in Seattle. I wasn’t always a pizza snob. 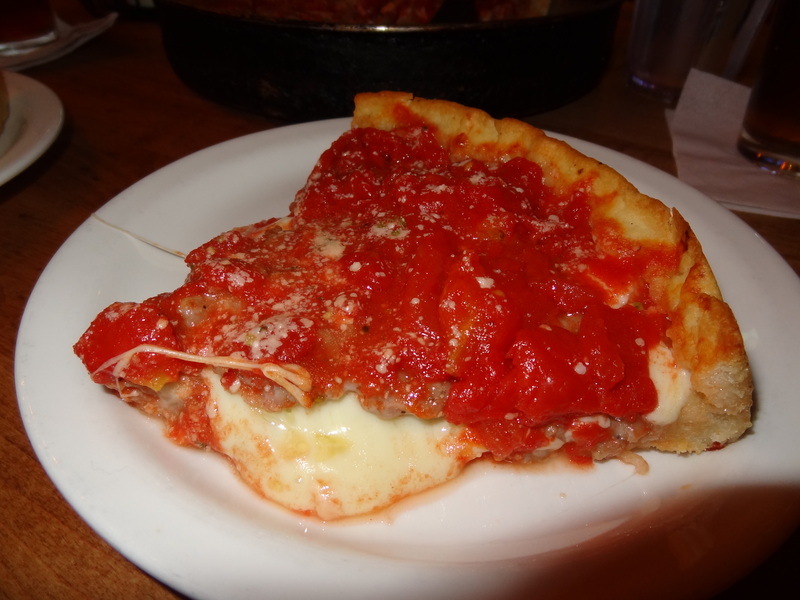 I actually grew up on a pretty unhealthy diet of Domino’s and Pizza Hut, frozen pizzas of all kinds, and periodic food pilgrimages to a place my parents loved called Pizza Loft. 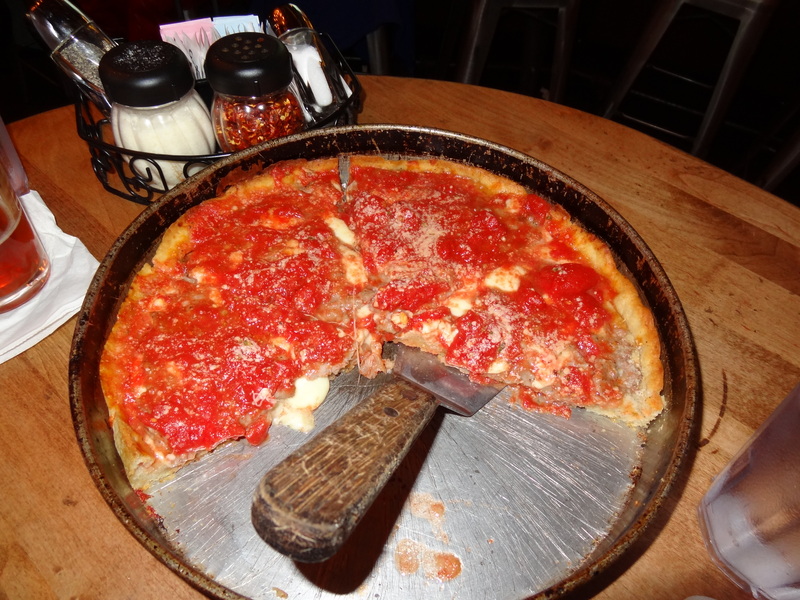 In college, I subsisted on Five Star Pizza, which made big greasy pies, big enough to feed a pack of drunk college students for just five bucks. (God I wish I was still in college.) Two years in Italy changed that though. I came back a pizza snob. I’ve found my two reliable spots in New York (Motorino in the east village and Keste in the west village) and not a lot else speaks to me. People joke about this and bring it up all the time but it’s true. I take my pizza consumption seriously. Now that’s a pizza party! 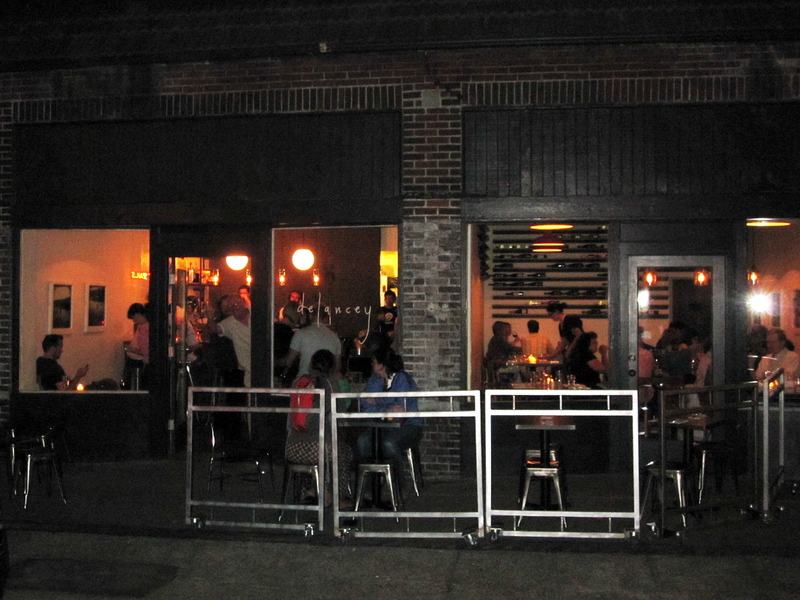 After eating at Motorino in the East Village, I thought I had found the one. 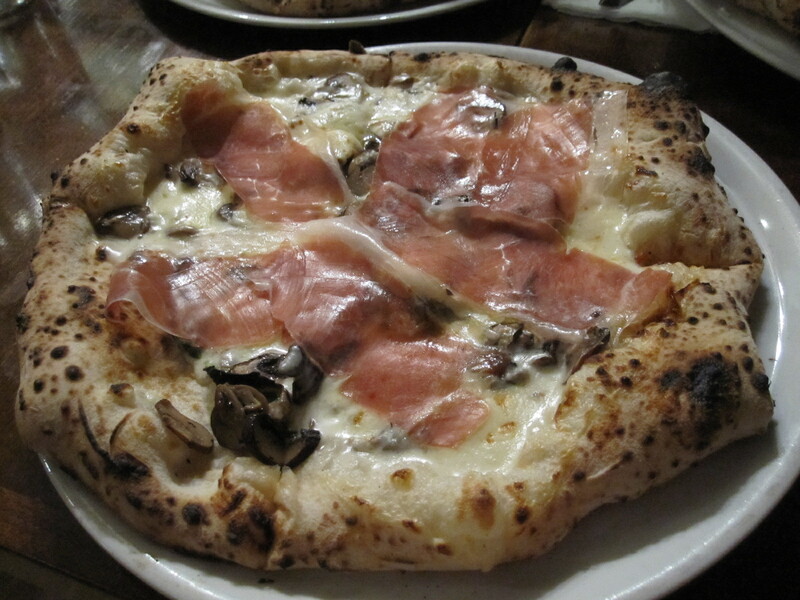 I would have to look for real Neapolitan pizza no more in New York. Motorino was the one for me, and that’s all I needed. Then I found Kestè, a small, bustling pizzeria in the West Village, and now I know: I’m not a one-pizzeria kind of girl. 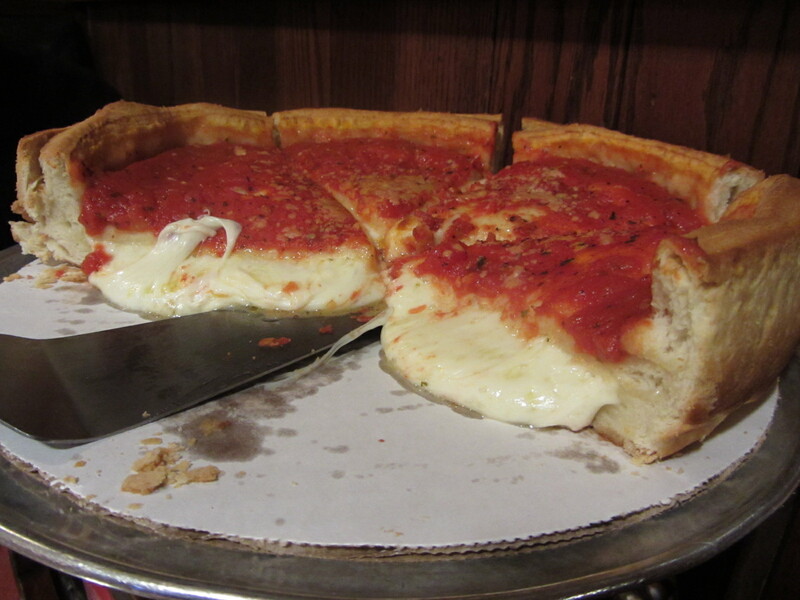 In this city, my heart and stomach are divided between east and west, Motorino and Kestè. Flaneur, Vanessa and I went on a recent Thursday and after a 45-minute wait (because they don’t take reservations) we shuffled through the busy restaurant to our table on the other side of the flour covered pizza-making area and hot ovens. In addition to the mouth-watering aroma of fresh-from-the-oven pizzas and the fact that the whole place was packed, with even more hungry people waiting outside, there was another sign that this was going to be a good spot, and something that I look for in situations like these: Italians. One of the girls next to us, the family a few tables down, the old couple outside, even our waiter. With ingredients like buffalo mozzarella, soppressata, and pecorino romano, everything on the menu sounded delicious and by the looks of the pizzas getting served all around us, these were the real deal. Because none of us could decide on just one pizza, we decided to each get a different one and share. 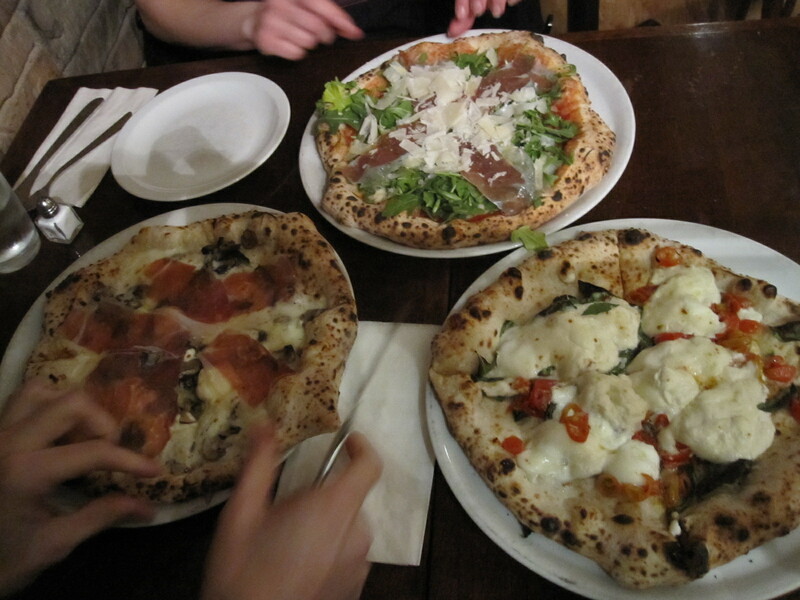 Not long after we ordered (thankfully), our pizzas showed up and we hungrily set about dividing them up. They looked beautiful, just as perfect as their most perfect Italian counterparts, and after the first bite I was just as in love as I had been in Italy. The first pizza I tried was one we decided on at the last minute when our waiter announced it as the special of the night. 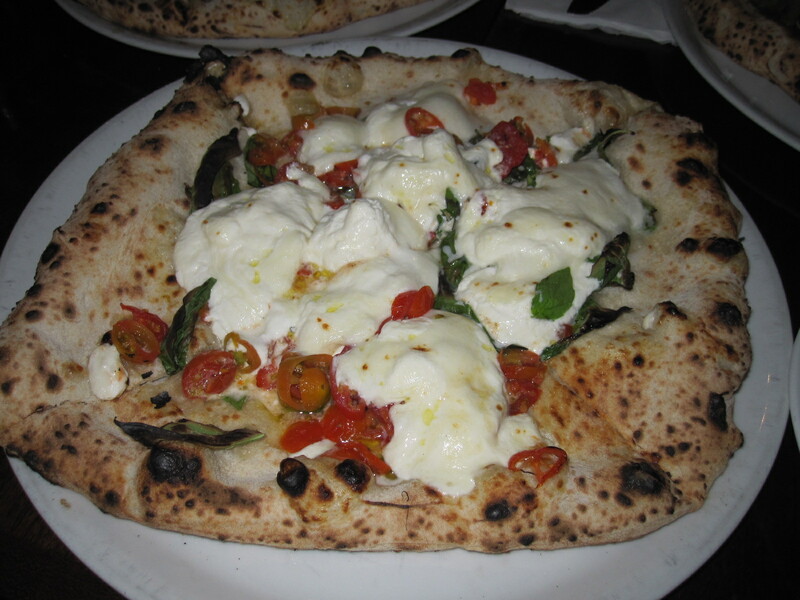 Although I don’t usually like white pizzas (meaning no sauce), when he said it had burrata, one of my favorite Italian cheeses made from mozzarella and cream, I was totally sold. 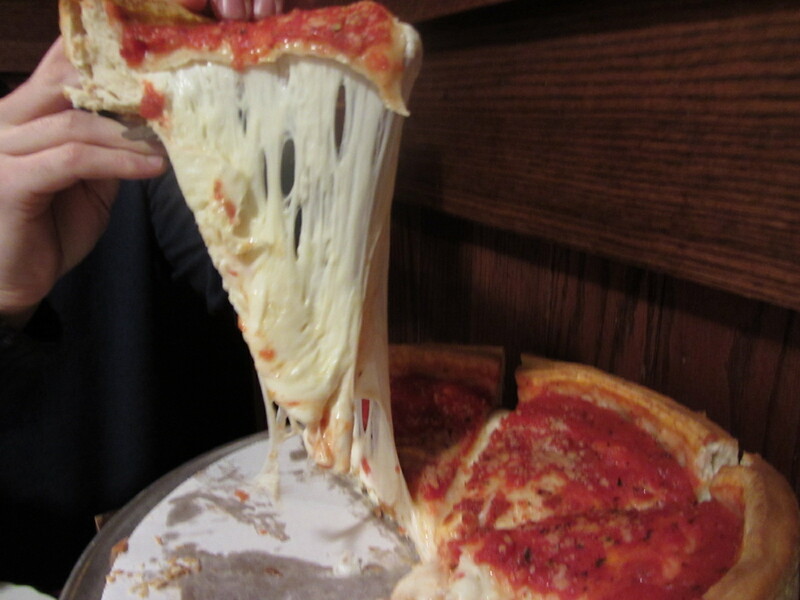 Big, white blobs of the creamy cheese topped the thick, doughy crust. Little cherry tomatoes added a little color and a hint of that familiar taste to this amazing pizza. I almost felt like I was cheating on my love, Motorino. Kestè and I were getting into something serious here. Next up, I tore a slice of the pizza del re (king’s pizza) which Flaneur and Vanessa had already started on and were ooohing and aaahhing about between mouthfuls. The same thick crust was covered with tomato sauce, fresh mozzarella, mushrooms, prosciutto and one of my favorite ingredients of all time: truffle spread. I tend to like my pizzas more on the simple side, with just one or two ingredients but on the pizza del re, all the toppings worked together perfectly so that if even just one was missing it wouldn’t of been half as good. As soon as all those flavors hit my tongue and seemingly swirled around my head, I was hooked. As if the pizza itself weren’t delicious enough, it left a mix of truffle and olive oil on the plate, perfect for dragging pizza crust through. 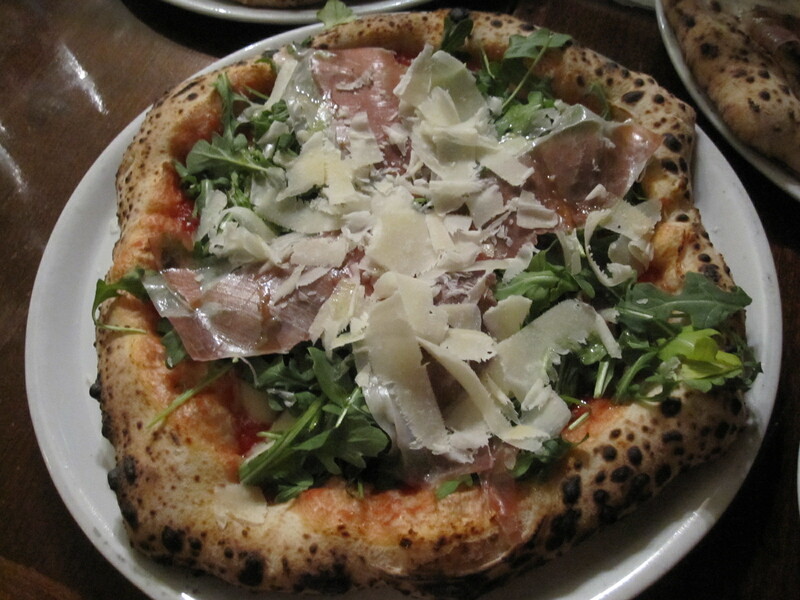 Last on my Kestè tour de force was the pizzeria’s self-titled pie, a lush leafy pizza with arugula, buffalo mozzarella, tomatoes, prosciutto, and gran cru, a hard pecorino cheese. No ingredient dominated the other. The entire surface was done almost in layers instead of one single blanket of mixed parts. The arugula mixed with the thick cheese shavings contrasted nicely in their dry textures to the gooey cheese underneath and the soft chewiness of the dough. When every last bit of pizza was done, I debated with myself. 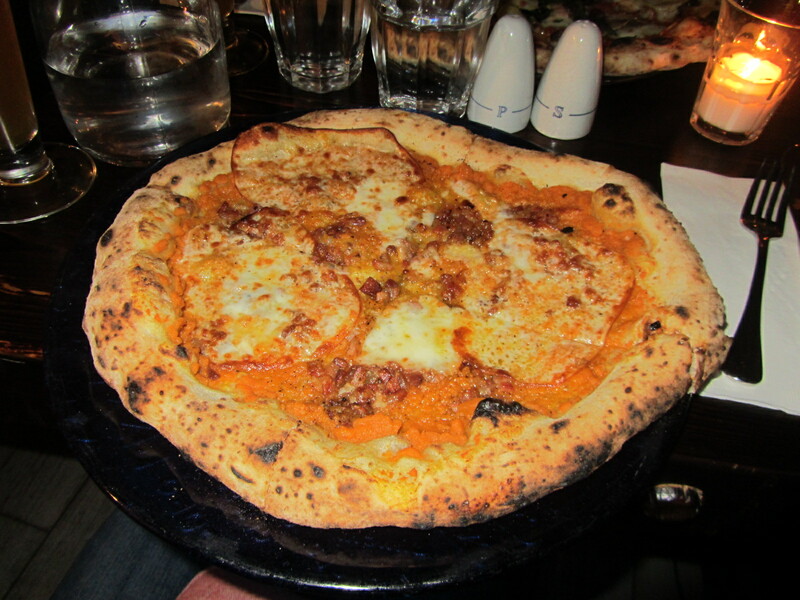 Could this be better than Motorino, what I had previously named the best pizza on this side of the pond? 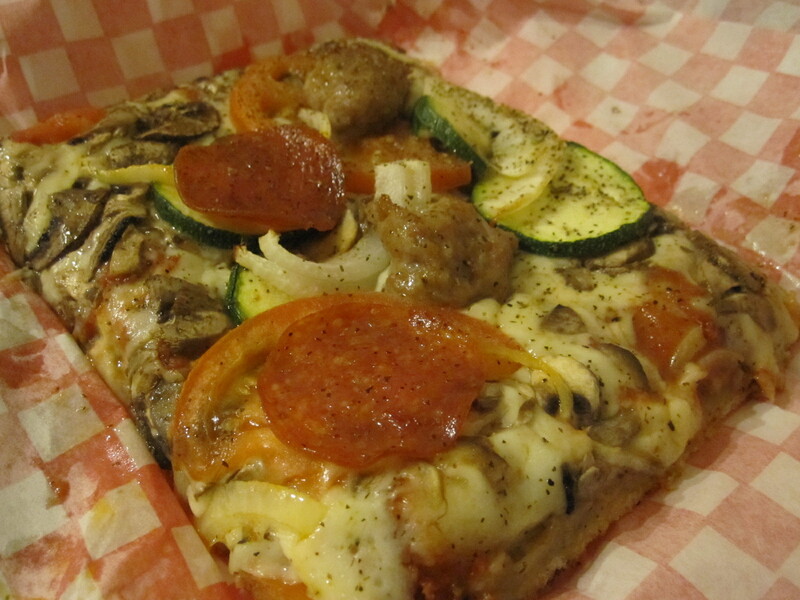 As I sat and reminisced about pizzas past, I decided, nope, not better, not less delicious, just perfectly equal in my pizza loving heart…and stomach. *Photography by the multi-talented Vanessa Garcia. Woot woot.